In recent years many regions around the world face shortage in sweet water reservoirs due to excessive extraction of water for food and bio raw material production needs. 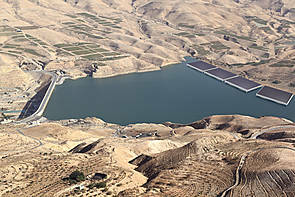 Loss of water from lakes, dams and reservoirs resulted in an agricultural production loss and introduced water extraction restriction measures in urban regions. 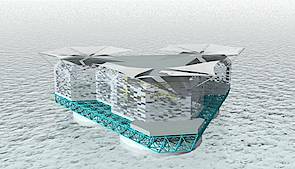 Reducing the amount of water lost to evaporation would improve water security. The only way to close the gap between natural supply and human needs of water is to improve the efficiency of water logistics and suitable water storage reservoirs for drinking water. Covering of, dams, lakes or reservoirs will minimized the rate of evaporation. 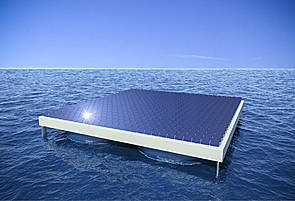 This shadowing could be done by floating platforms equipped with photovoltaic panels. 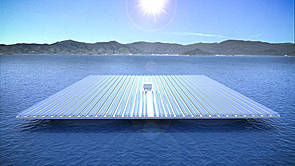 Such a technology will generate green and clean energy and save the water in arid and semiarid region.